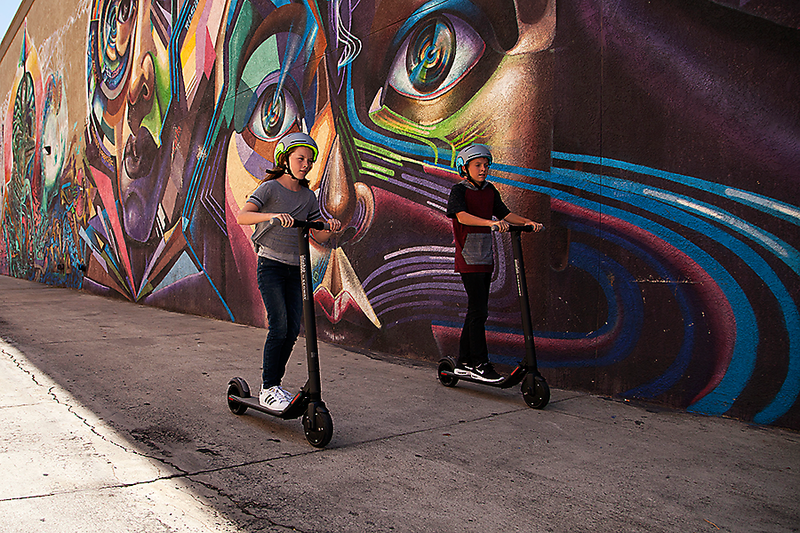 The Ninebot by Segway KickScooter ES1’s high-power allows a maximum speed of 12.4 Mph (20 km/h) to take you anywhere easy and fast. Go out and travel effortlessly within a maximum range of 15.5 miles (25 km). 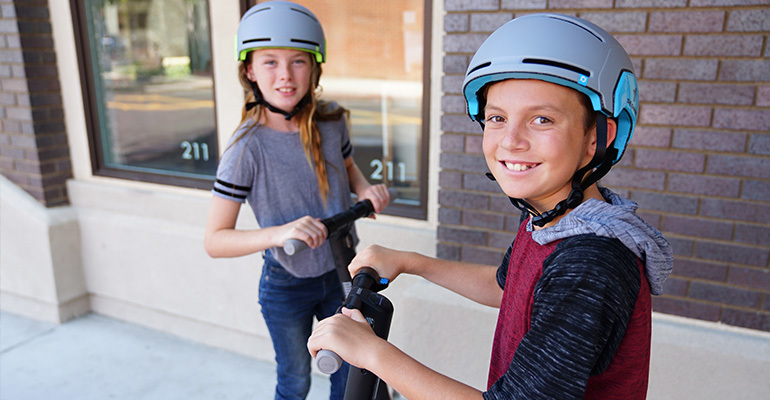 The ES1 KickScooter is equipped with a cruise control option for even more rider comfort. 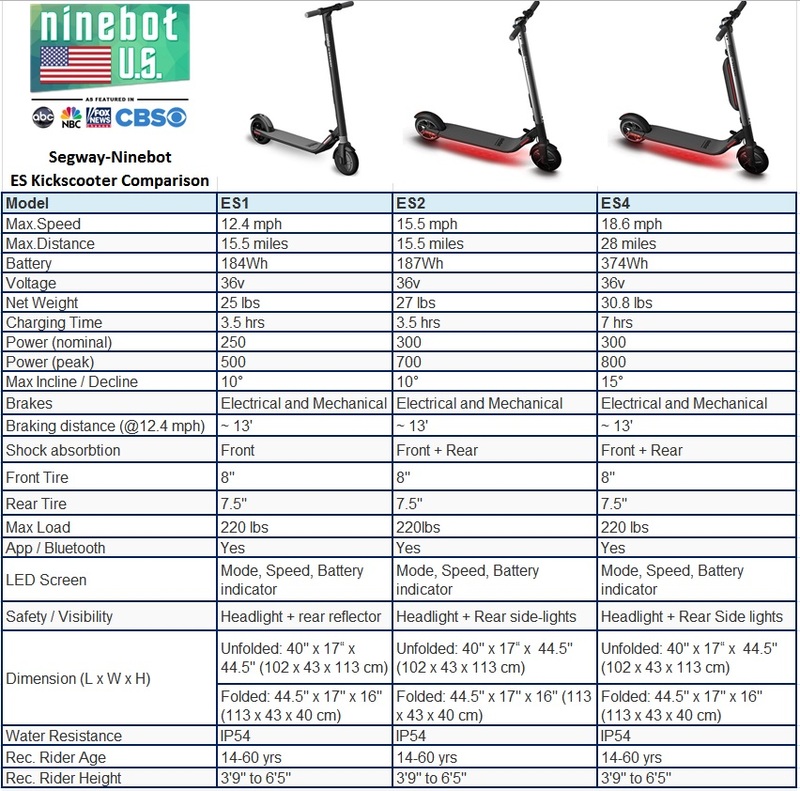 With a total weight of ~25 lbs (11.3 kg) the Ninebot by Segway KickScooter ES1 can be carried one-handed, making it the perfect lightweight travel companion. The ES1 is your lightweight, easy-to-store, travel companion for leisure riding, shopping, or commuting. With a total weight of ~25 lbs (11.3kg) the KickScooter ES1 can be carried anywhere one-handed, making it the ideal travel companion. The front wheel shock absorption and large diameter tires provide a high level of rider comfort, and the anti-lock mechanical and electrical brake ensures a safe braking distance. Simply push off and effortlessly take the ES1 to speeds up to 12.4 Mph (20 km/h) or use the convenient cruise control option. 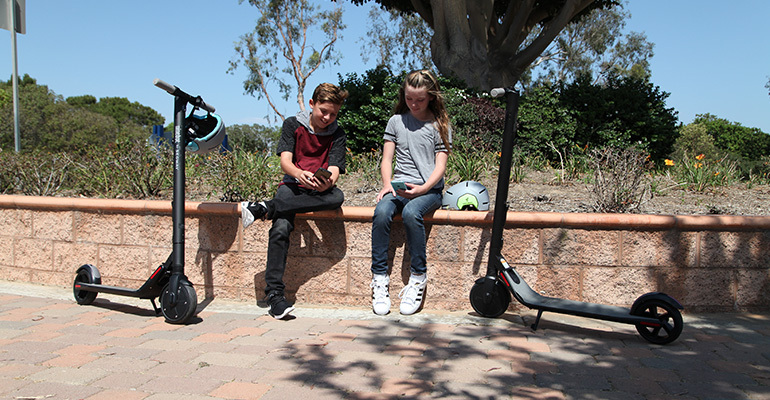 Thanks to the easy one-push folding system, all of the Ninebot by Segway KickScooters can be folded in no time and stored easily in your car or on public transport, taking up a minimum amount of space. During your ride, the eco-friendly energy recovery system makes sure no power goes to waste, while the Smart Battery Management System closely monitors battery performance. We have taken great care of the smallest details, so that your traveling comfort and safety can be guaranteed. Includes: Handle, mainframe, user materials (user manual, quick start guide, limited warranty), Five plus one (5 required + 1 extra) M4 flathead screws, M4 hex wrench, and battery charger.